..His talent takes many forms. He is one of the most compelling white blues singers ever recorded. He is a songwriter of exceptional facility and cleverness. He is an uncommonly skillful guitar player and harmonica player. Dylan’s first album can hardly be faulted. It is a brilliant debut, a performer’s tour de force,…. Bob Dylan is the debut album by American singer-songwriter Bob Dylan, released in March 1962 by Columbia Records. 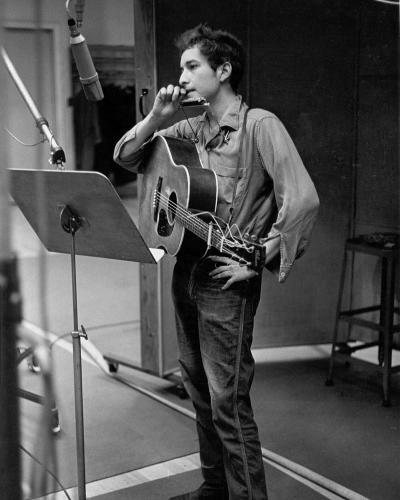 Produced by Columbia’s legendary talent scout John H. Hammond, who signed Dylan to the label, the album features folk standards, plus two original compositions, “Talkin’ New York” and “Song to Woody”. 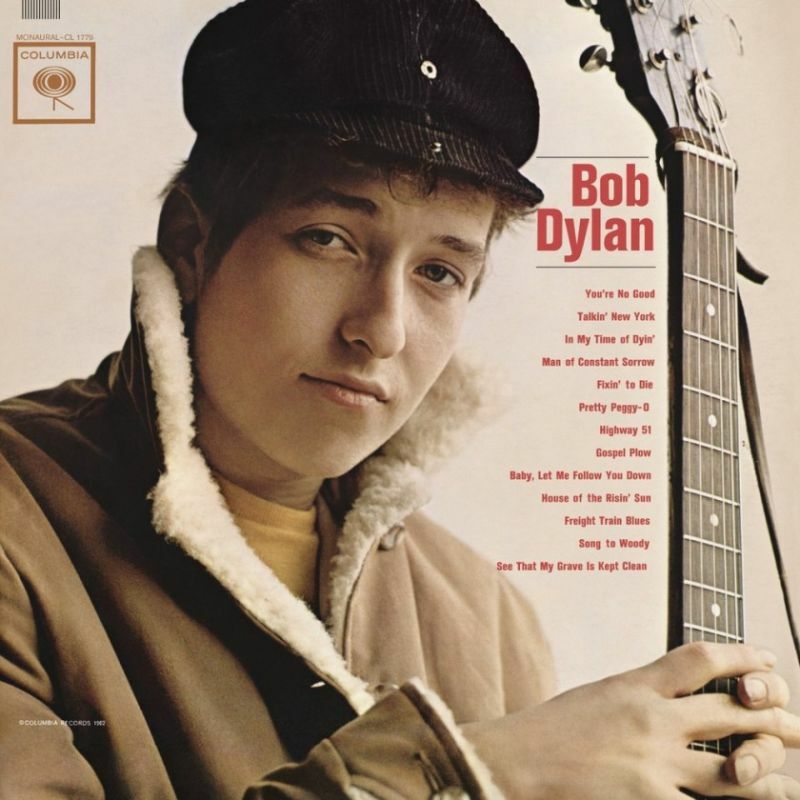 The album cover features a reversed photo of Dylan holding his acoustic guitar. It is unknown as to why the photo was flipped. In less than one year in New York, Bob Dylan has thrown the folk crowd into an uproar. Ardent fans have been shouting his praises. Devotees have found in him the image of a singing rebel, a musical Chaplin tramp, a young Woody Guthrie, or a composite of some of the best country blues singers. By the time sessions were held for his debut album, Dylan was absorbing an enormous amount of folk material from sitting and listening to contemporaries performing in New York’s clubs and coffeehouses. Many of these individuals were also close friends who performed with Dylan, often inviting him to their apartments where they would introduce him to more folk songs. At the same time, Dylan was borrowing and listening to a large number of folk, blues, and country records, many of which were hard to find at the time. Dylan revealed in an interview in the documentary No Direction Home that he needed to hear a song only once or twice to learn it. 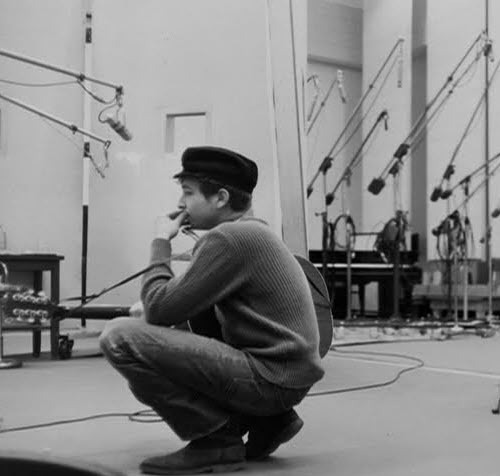 The final album sequence of Bob Dylan features only two original compositions; the other eleven tracks are folk standards and traditional songs. Few of these were staples of his club/coffeehouse repertoire. Only two of the covers and both originals were in his club set in September 1961. 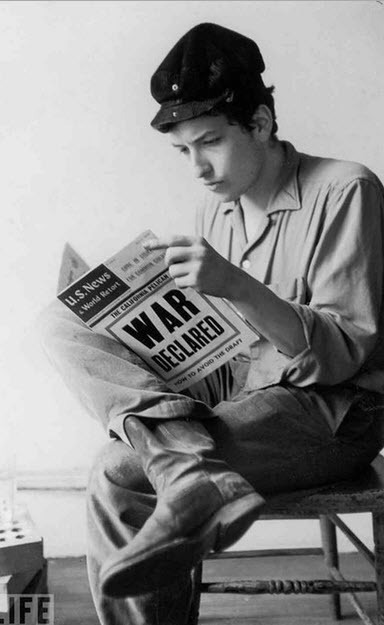 Dylan stated in a 2000 interview that he was hesitant to reveal too much of himself at first. 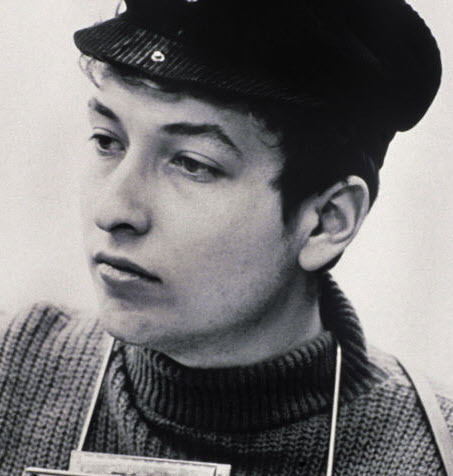 However, at the time of its release, Bob Dylan received little notice, and both Hammond and Dylan were soon dismissive of the first album’s results. Bob Dylan’s first album is a lot like the debut albums by the Beatles and the Rolling Stones — a sterling effort, outclassing most, if not all, of what came before it in the genre, but similarly eclipsed by the artist’s own subsequent efforts. The difference was that not very many people heard Bob Dylan on its original release (originals on the early-’60s Columbia label are choice collectibles) because it was recorded with a much smaller audience and musical arena in mind. in 1962 i listened to this constantly — wrote a high school English paper on it too!